The first big piece of news is that the Hubris Kickstarter will be going live soon! I’m very excited about this! I look forward to finally seeing this book in print with tons of kickass art by some really talented people! Anyways- that full announcement will be coming soon! On to new projects. A few weeks ago I was watching the newest season of Hell on Wheels to hit Netflix Streaming (season 4) and was really enjoying it (especially the first half- the second half kinda goes heavy-handed in how they resolved many of the characters story arcs). Anyways every time I watch a season of Hell on Wheels, I get the urge to run a western (or weird west) game. Thus far it hasn’t happened. However I decided that I wanted to write my own. The mechanics are inspired by White Star, Swords and Wizardry, Beyond the Wall, along with some stuff inspired by games like Savage Worlds, etc. I figured I’d post a couple of the classes over the next few days. I’ll be posting the Gunslinger, the Scout, the Cult of Personality, the Pugilist, and the Doctor. High Noon will also have a chapter called “But I Want it Weird” with rules on Weird West. This chapter will have Knight of Faith, Sorcerer, Shaman, Weird Scientist, and The Showman. I’ll post Knight of Faith and Sorcerer as well! The book is bout 50-75% done for first draft already- so I’m hoping it’ll release in the next couple of months! Scouts know the wilds and how to survive in the harshest conditions. 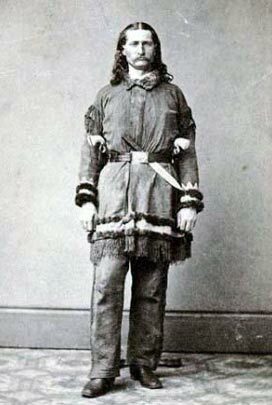 Many scouts prefer the lonesome prairie to the hustle and bustle of the cities. Often times these men and women offer their knowledge and skills for money, supplies, or trade. Scouts have a keen eye and know how to spot people or animals that may be sneakin’ up on them. 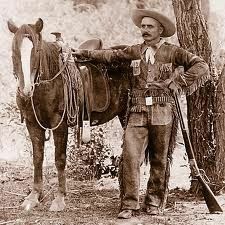 Scouts are said to have been “born in the saddle,” as a horse is one of their most important “tool” in their arsenal, and can fire from horseback with ease. Weapon Restrictions: A scout is proficient with knives, bow and arrows, lassos, clubs, spears, axes, pistols, and rifles. I Gots Me a Horse: Scouts start play with a horse. Rugged Survivalist: A scout knows how to survive and fight in nature. Any type of task that is nature related falls into the realm of the Scout. This can be from climbing impossible looking cliffs, building, finding, or disabling simple natural traps, camouflaging and hiding in the brush, moving silently, being able to survive and find food and shelter, and knowledge of herbs and fauna to use to treat poisons and toxins. Depending on what activity the scout is attempting will determine which Attribute is being rolled. The scout may still take a skill for one of the above mentioned activities (IE. Climbing, disable traps, etc.) to gain the +2 bonus to their rolls, but any of these activities, even if they require a high level of education (IE. knowing how to counteract the deadly poison of a rattlesnake) are doable for the scout. Keen Observer: When an enemy or beast attempts to surprise a scout their threat range is reduced by half (IE. A cougar that surprises foes on a 1-4 normally can only can surprise a scout if they roll a 1-2). Unhindered Movement: Scouts have learned how to maneuver in natural obstructions like craggy hills, thick underbrush, etc. A scout’s movement is unimpeded when moving in any of these terrain types. Fire From the Saddle: A scout does not incur the normal -4 penalty to attack rolls when firing a ranged weapon from the saddle of a moving horse. Saving Throw: A scout receives +2 to saves against poisons and environmental hazards. 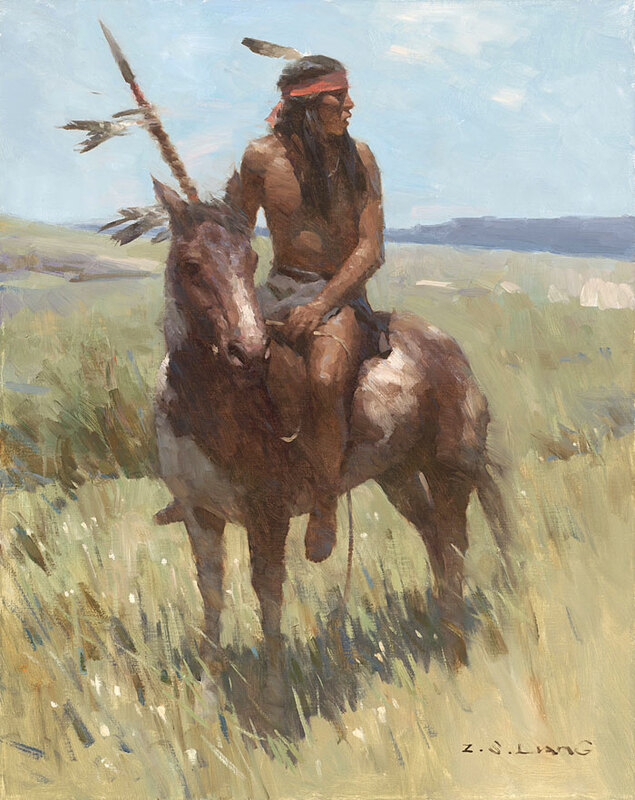 Prairie Fort (9th): The scout has assembled a following of loyal people who tromp through the wilds with you. During your travels you have set up a fort somewhere as a base of operations. This fort is self-sufficient, but will run into troubles like disease, famine, attacks, etc. Skills: A scout begins play with five skills. Starting Currency: 2d6 x 10 dollars. Hit Point Option 1- The Gritty: At level 1 each characters starts with 10 HP + their Constitution Modifier + 1 HP. Each additional level the characters only gain 1 HP (+ their Constitution Modifer). A couple blows from a club or a shotgun blast (even at higher levels) will put a character out of action. Hit Point Option 2- The Not as Gritty: At level 1 each character starts with their Constitution score + their Constitution Modifier +1d6 HP (or +2d4 for fighting-type classes- see below) +1 HP. Each additional level the characters only gain 1 HP (+ their Constitution Modifer). This keeps combat deadly, but the heroes are more robust. Hit Point Option 3- The Traditional: This follows the more traditional route that many RPGers are accustomed to. At level 1 each character starts with 6 HP + their Constitution Modifier. Each additional level the character rolls 1d6 for their HP and adds their Constitution Modifier. Skills: Each class, unless stated in their description starts with two skills of their choice. Rather than creating an extensive list of skills, let the player come up with their own skills. These can be things like riding, survival, security, blacksmithing, history, trade, persuasion, intimidation, etc. By-and-large a player character is able to attempt anything (however a GM is free to decided that certain things do require a skill, especially highly specialized things like hacking locks, etc.). To do this the GM decides which attribute is appropriate and the player rolls a d20 and must roll equal to or under their attribute. If they roll over, the attempt fails. When a player character has a skill, they receive a +2 bonus. A player may take a skill twice, giving them a +4 bonus. Example: Big Eye James is attempting to pull a card from out of his cuff in a game of poker. The GM asks if he has an appropriate skill. James has sleight of hand, which the GM feels is more than appropriate for this situation. Big Eye James has a Dexterity of 13- adding +2 to that for the Sleight of Hand skill. Big Eye James rolls a 11 on his d20, thus succeeding on placing a card in his hand. This entry was posted on Monday, August 10th, 2015 at 6:14 am	and posted in High Noon, Role-playing. You can follow any responses to this entry through the RSS 2.0 feed.